Music has always been an inevitable part of weddings, but people often overlook the importance of booking a live band for their wedding music and prefer to do without them. Well, you can definitely install loud speakers and play some of the best wedding songs on your reception, but that would be nothing compared to the entertainment offered by a live band. So, if you are willing to book a live band for your wedding music, we have got 4 essential tips to make the process easier for you! 1. What Do You Expect for Your Wedding Music? Before going headfirst into the band selection process, first you need to determine a few important things such as the songs you want to play, the music genre you like and the kind of performance your guests would want. Take some time out from your busy wedding schedule, sit back and decide what kind of music you and your guests are most likely to enjoy at your wedding day. Determine whether your guests would want to hear something slow and intimate or will they love to hit the dance floor with something hip and groovy? There are many live bands that perform a little bit of everything, so look out for such bands and you might get lucky! You must research about the live band you are willing to call for your wedding reception and if you are satisfied with them, then you can book the band. Booking the live band ahead of time will not only save you from last minute trouble, but you will also get to pick a band of your choice. Experienced and reputed bands are usually booked over a year prior to the event, especially during the peak season. Therefore, if you don’t want to be out of options, book your live band months before your big day. People often make a common mistake of booking live bands without discussing their requirements with the performers. This not only creates confusion for the performers as they are unaware of your expectations but you also end up disappointed. Therefore, it is always better to discuss all your requirements and special requests with the band members or the entertainment provider before signing the contract. Moreover, wedding bands these days are open to suggestions, so feel free to pitch in your song choices! Most of the wedding bands usually provide their own lighting and set up but they may charge extra for these services. Nevertheless, you must ask the band whether they will provide you with the inclusions such as wireless microphones for speeches, DJ service during the performance breaks, MC services for the day and the facility of learning your first dance song. It is also important to get all these things in writing at the time of appointing the band to avoid any future discrepancies. Want to book one of the best live bands in Australia? 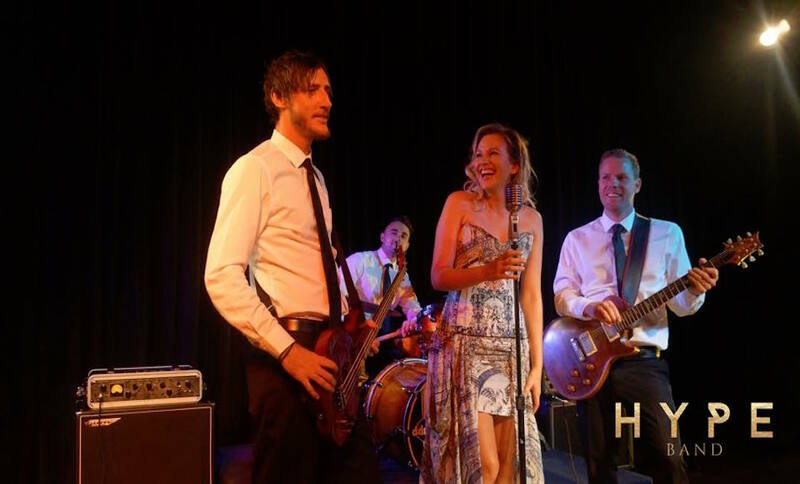 Contact Australian Wedding Entertainment and pick a wedding band that you think will suit your preferences. We are known for providing some of the best performers who will make sure that your guests don’t leave without thanking you for inviting them to an event full of entertainment!